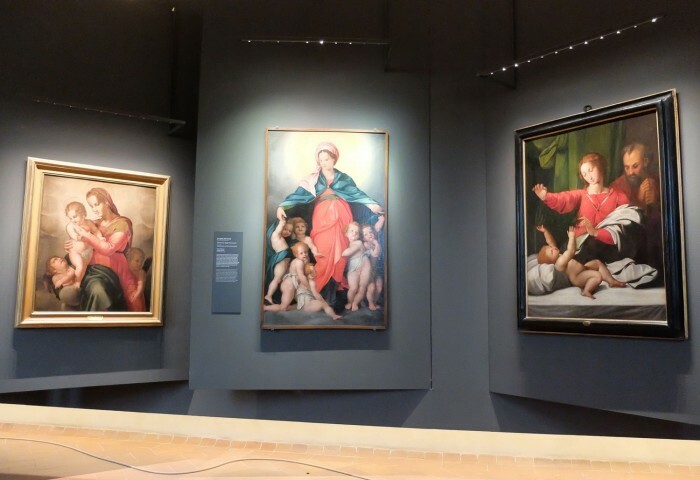 Previously a small picture gallery called MUDI, the Ospedale degli Innocenti’s museum reopens June 23, 2016, after an 8-year-long restoration and expansion costing €12,8M. The new Innocenti Museum spans over 5000 square meters on four floors, with 80 works of art, 140 “marks” left on abandoned babies, multimedia storytelling of lives past, and a new rooftop café with a great view over the city. The Ospedale degli Innocenti was founded in 1419 and opened its doors in 1445, becoming the first lay institution, probably in the whole world, to be dedicated entirely to children. In particular, they received anonymously abandoned children and the intention was to raise them as much as possible as if the institution were their family. When possible, this happened – from Agata Smeralda in 1445 to Ultimo lasciati in 1875, when the window was closed and this phase of the institution’s history ended. For more on the history and why’s of infant abandonment in the Renaissance, see my 2008 article on this blog. 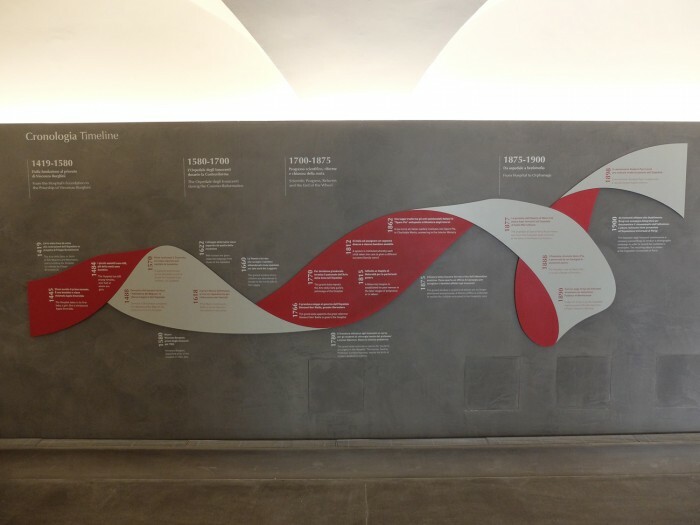 The first section of the new Innocenti Museum is dedicated to this history, using video, objects and text to highlight important steps in the timeline of the institution. This takes place at the basement level, where the display uses pretty traditional grey walls and lighting to set off objects. 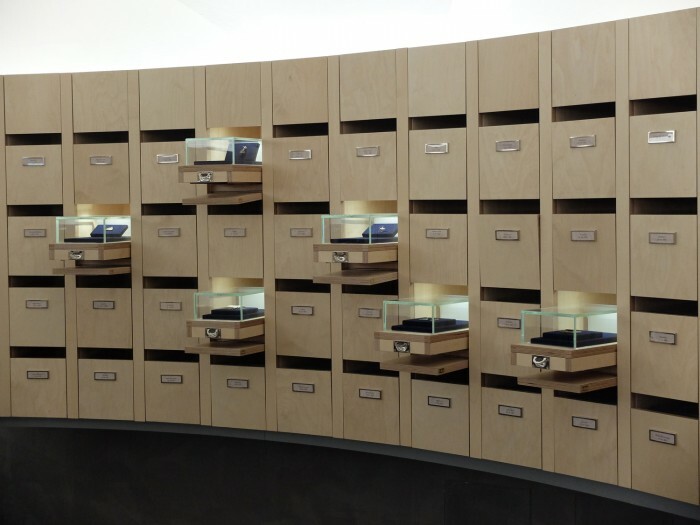 One large space is dedicated to 140 “marks” (segni) which are the objects often left on children when they were abandoned. From the earliest records, but increasingly in the 19th century, babies were left with some kind of object around their necks or attached to their swaddling cloths. Generally these are believed to serve for recognition should someone come claim the child later, and so they were carefully noted in the entrance records of the institution. 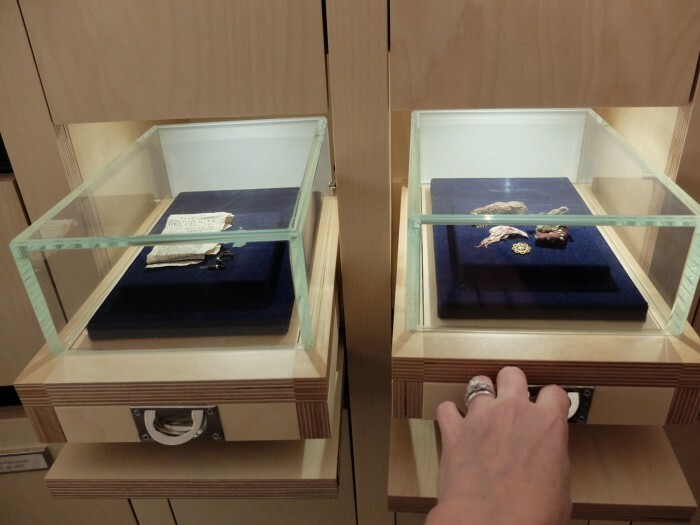 Recently restored and catalogued, they are displayed in little drawers you can open and explore. 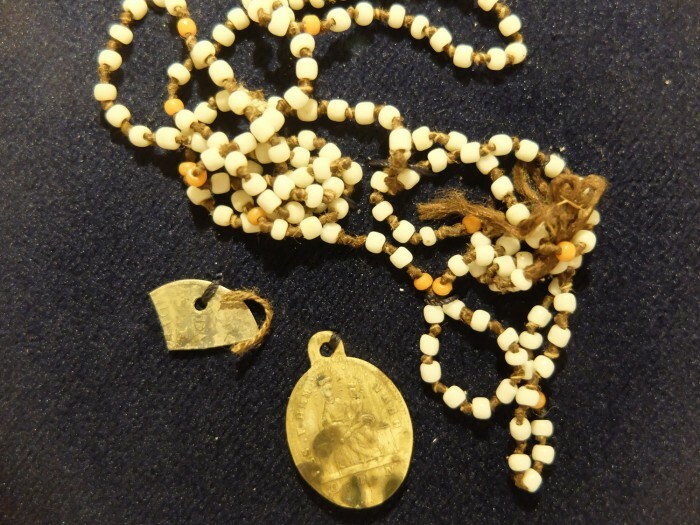 My own Masters research was in fact on these documents and focused on these objects, where I found, sadly, no correlation between the presence of an object and a child being claimed later. Even more sadly, as time progressed into the 19th century, the institution was quite overcrowded and many children died. This, however, is not really mentioned in the museum, where historians have managed to reconstruct the lives of a sampling of Innocentini through the centuries. These are told, through documents and letters, on touch screens nearby, bringing the institution alive through the children that once animated its halls. 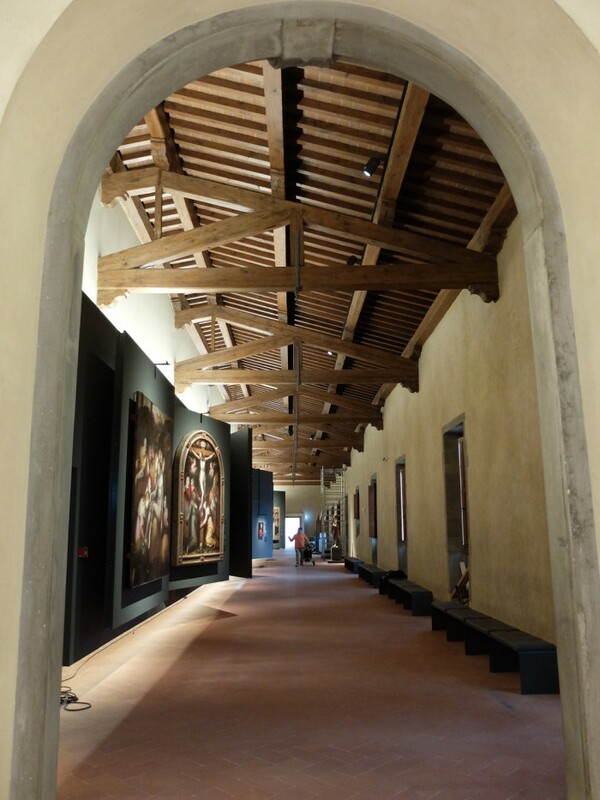 As we move upstairs, the museum path takes us through the architecture of the institution – the portico, by Brunelleschi, and the interior courtyards – one more public, one for women. At the top of the museum is a new café in the well ventilated laundry-drying area (stenditoio), a space similar to that found on top of the Oblate library. The third floor of the museum extends mostly through one large room, where works of art commissioned for the institution over the years are on display. 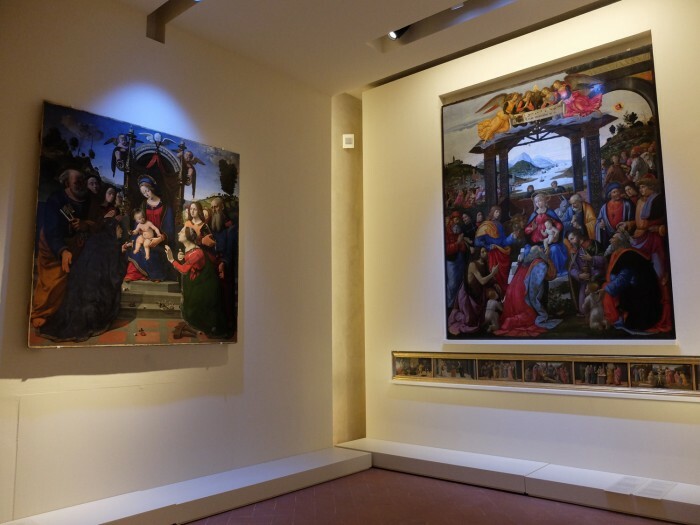 Recognizable names include Botticelli and Ghirlandaio – the details of the latter’s amazing altarpiece glimmer under the museum lighting. But most of all it’s interesting to look at these works and imagine how they fit into the history. Many depict the children of the institution under the protection of the Madonna, an image that was updated every century or so. 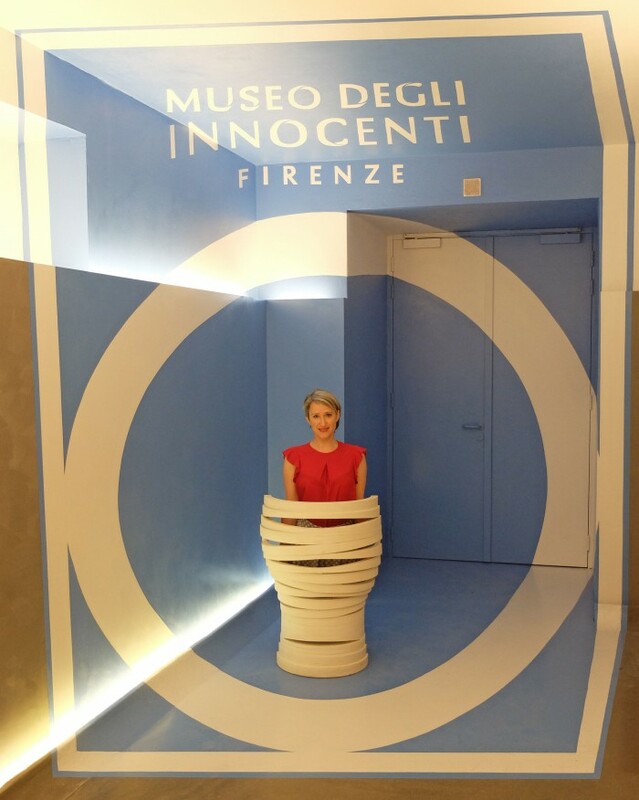 As I found out in my interview of the instution’s president for The Florentine, the museum integrates numerous child-friendly features. Children’s labeling, in Italian and English, is placed low to the ground, and there are more soft benches than usual here. There’s a photo-op spot for children to pretend to be a swaddled baby (I may have been the first person to try it out! ), and a “leave your mark” drawing op sponsored by Giotto coloured pencils. Visitors receive tablets to help explore the exhibit, and there will be video screens throughout that make the display more interactive than many museums. At the time of the press preview, most of these features were not yet in action, so I’ll have to come back – armed with a child! – to test them more fully. The museum is the first to focus on the history of childhood, just as the institution was the first to focus on children, and in many ways it represents the starting point for the concept of childhood in the early modern age. 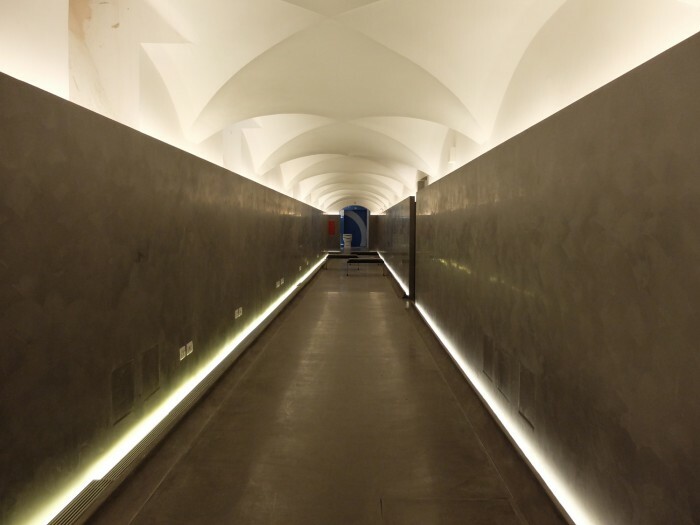 As such, a visit to this museum will fill in a gap in our understanding of Florence during the Renaissance and into the modern age. For children, it will give them a sense of the past and maybe an understanding of the life they may have lived, had they been less fortunate, in the past. The museum will have daily childrens’ activities, some of which do not require parental attendance – as such, the director hopes that it will be a frequent destination both for locals and tourists, who can let their kids experience the museum while they go beyond. At the bookshop it will also be possible to borrow a free backpack containing a Florence explorer kit for children and families (see familytour.it).